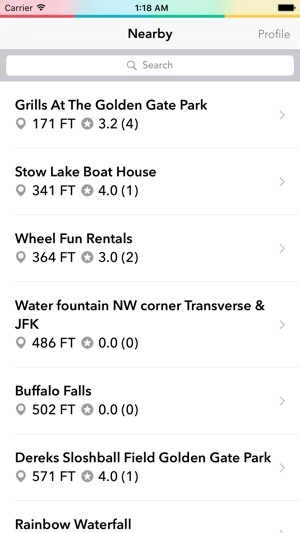 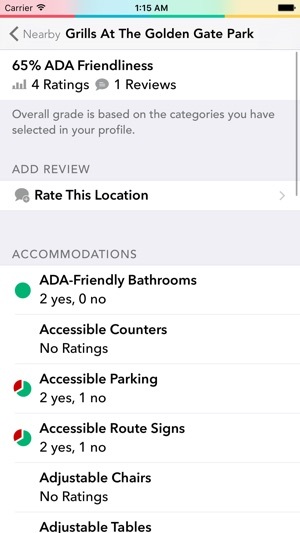 Compeer lets you rate and review the accessibility-friendliness of a location. 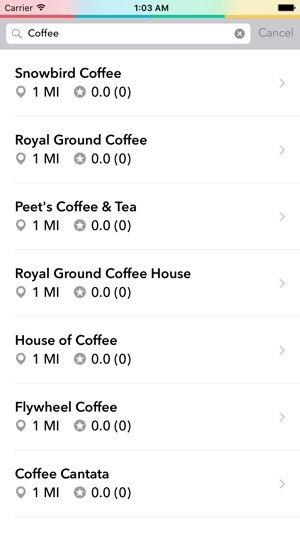 See what others have posted by searching a specific business or by browsing places nearby. 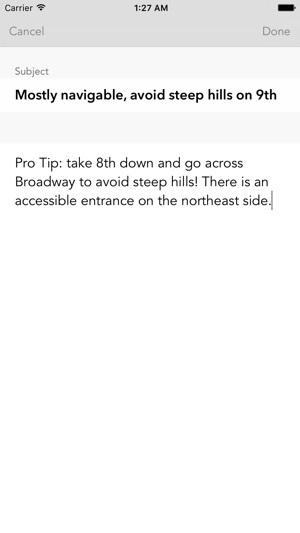 Easily contribute your own review with just a few taps. 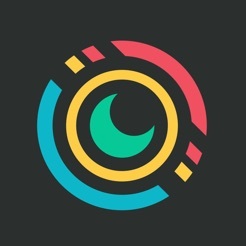 We realize disabilities aren't one-size-fits-all. 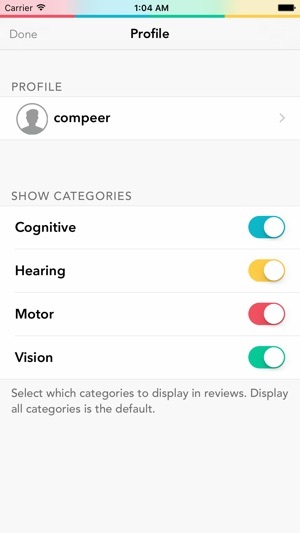 Choose which categories you care about (cognitive, hearing, motor, or vision) and Compeer will filter out unrelated reviews.